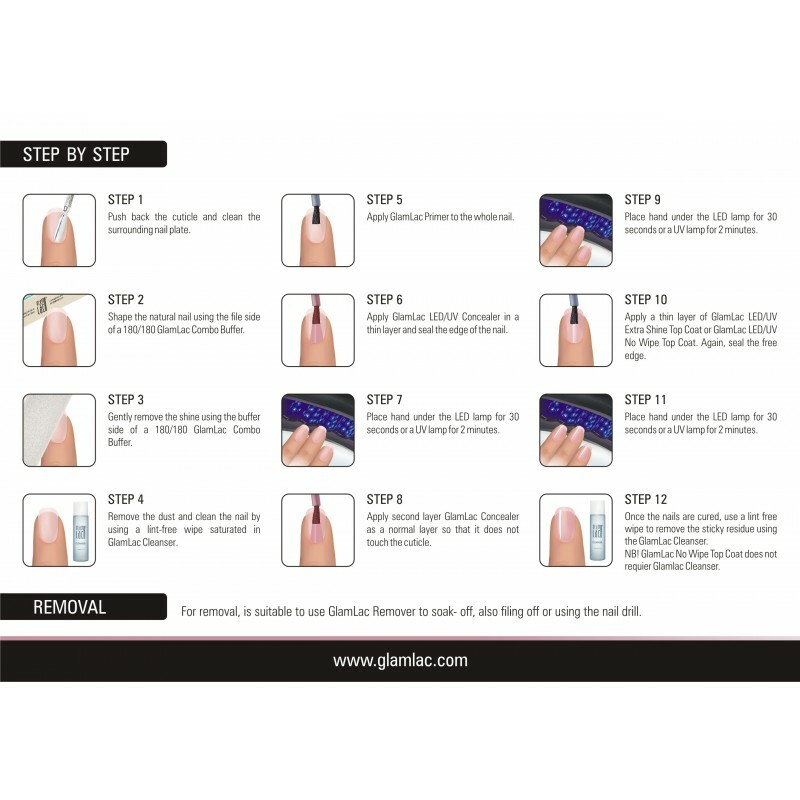 Apply two times of GlamLac LED/UV Nail Concealer Rubber Base and cure under the LED or UV Lamp. LED cure time – 30 sec. UV cure time – 2 min. 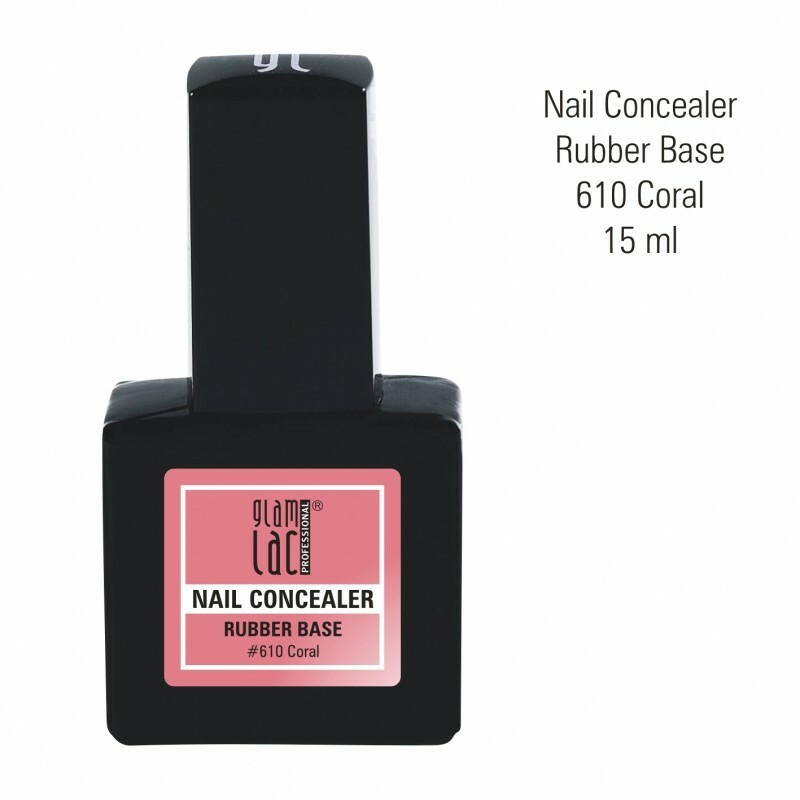 Cover with GlamLac LED/UV Top Coat.